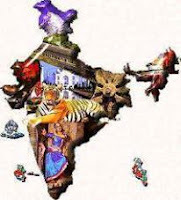 India GK Question Sample Paper 26: India General Knowledge (GK) Sample Question Paper No. 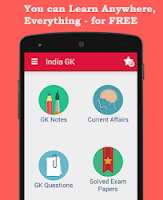 26 with Collection of India GK Questions under GK Quiz in PDF @ India GK Sample Papers. Q.362 खानवां का युद्ध बाबर और .........के बीच 1527 में हुआ था ? Q.363 "भारत का पेरिस" किसे कहा जाता है ? Q.364 सिकंदर ने भारत पर आक्रमण कब किया था ? Q.365 Which of the following movements were led by Mahata Gandhi ? Q.366 Which one among the following food crops is NOT categorized under "Millets" ? Q.367 Which god or goddess's birthday is celebrated on the eighth day of 'Krishna Paksh' of the month of 'Bhado' ? Q.369 Which instrument is used to measure the density of milk ? Q.370 Which of the following terms is used in the game of Badminton ?